Berlin läuft! 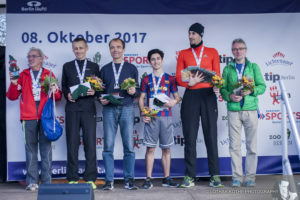 (Golazo Sports GmbH) organises the BERLIN LÄUFT-CUP every year since 2008. 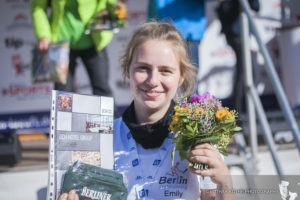 The best participants of the three Berlin läuft! 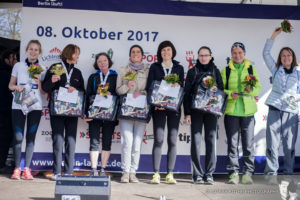 races listed below qualify for winning the BERLIN LÄUFT-CUP. There is no additional fee apart from the respective entry fees for the runs. A seperate registration is not necassary. You just have to fulfill a successful participation (finish) in all three races, irrespective of the rating. The current status of your BERLIN LÄUFT-CUP-rating can be checked on our website. The rating is carried out within the runs themselves (irrespective of the selected route length). Relay participants are excluded. The rating is based on the age category rating of the German Athletic Association, gender apard. The achieved space digits in the age group are converted into points. The runner with the lowest number of points out of the three races wins. In the case of a tie the best time of the Bridgestone Great 10k determines the winner. In the end the assessment is independed of age! The 10 best females and males of the BERLIN LÄUFT-CUP will awarded. 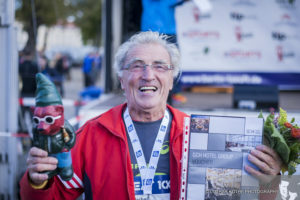 The ceremony of the BERLIN LÄUFT-CUP takes place on the day of The Bridgestone Great 10k Berlin, 13.10.2019, at the end of the event. Winners of the places 1-10 (male & female) have the chance to receive great prices!